This classic flush mount is designed to fit into any dicor. Features a white finish and etched glass. This 11" brushed nickel LED flush mount will look great with almost any dicor. It's maintenance free and requires no bulb change. It will last up to 45 years or 50,000 hours of continuous use. Makes great financial sense, can save up to $468 over the life of the fixture. The Eglo Ona Ceiling Light in an antique brown finish complimented by champagne coloured glass is equally suited to traditional and transitional settings. This 3 head ceiling canopy is approximately 8.5" in diameter and the heads are fully adjustable for convenience in directional lighting which makes it perfect for kitchens and hallways but also suitable for general purpose lighting applications such as bedrooms, offices, dens and great rooms. Use three G9 type bulbs, max. 40W included for your convenience. This light fixture can be used with any standard 120V dimmer for the widest flexibility of light output. 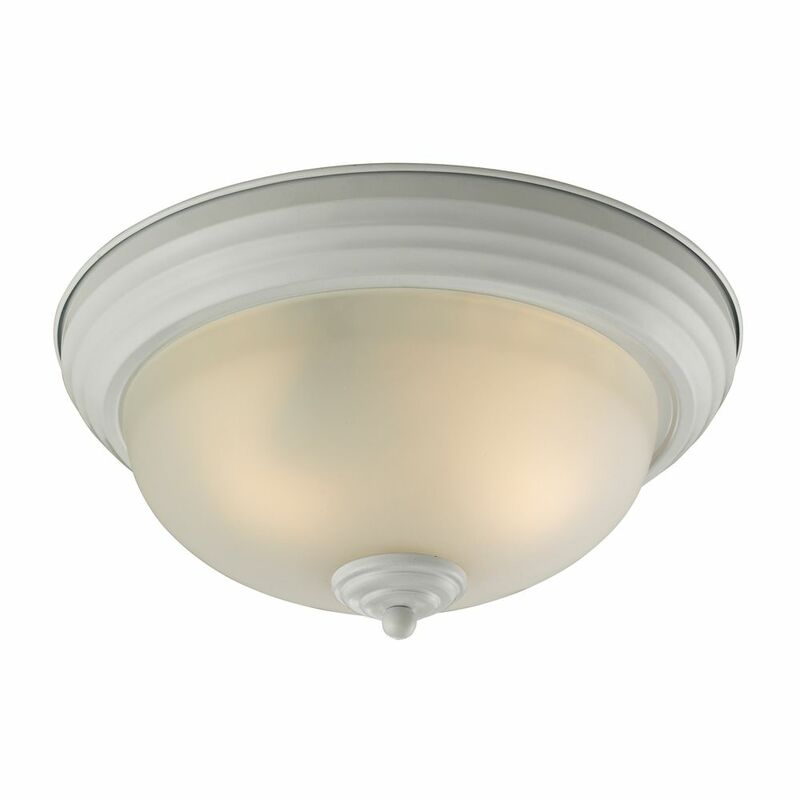 The cornerstone of the Burton Collection is quality, and this incandescent semi flush mount is no exception. Combining a classic antique bronze finish and posh styling, you will find no better way to highlight the charm of your home. With the superb craftsmanship and affordable price this fixture is sure to tastefully indulge your extravagant side. 3 Light Flush Mount In White With Led Option This classic flush mount is designed to fit into any dicor. Features a white finish and etched glass.